“When Roko Belic was 18 years old, he traveled to Africa, prepared to see unspeakable suffering. He was delivering money and supplies to refugees of Mozambique’s civil war, a group that he knew had been “completely brutalized”; some had had their arms, lips, or noses cut off in the conflict. 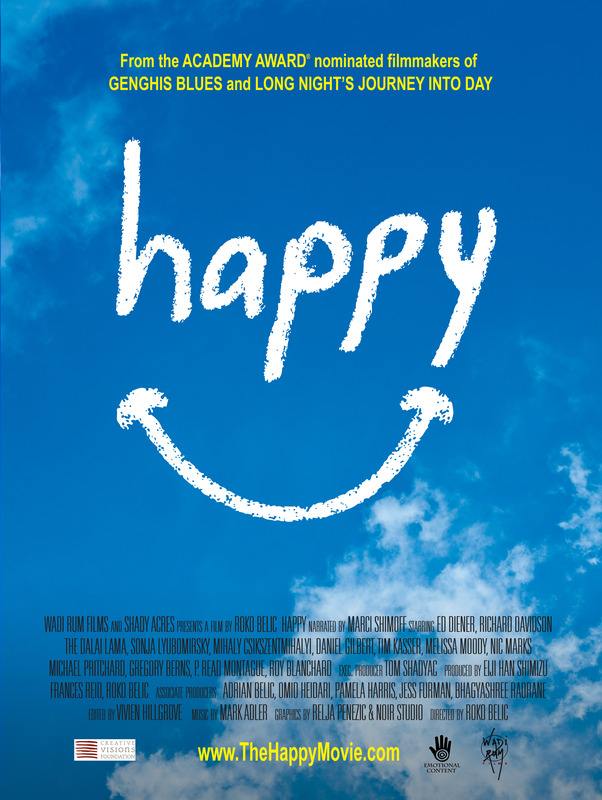 Roko Belic, director of Happy, a documentary beginning its theatrical run today. But when he arrived, he was astonished by what he found. The experience challenged some of Belic’s most basic assumptions about the world. How is it possible that people who’ve suffered so much can seem happier than people who’ve grown up enjoying the comforts of the West? He has pondered that question since returning from his trip. Now, more than 20 years later, he has made a film that answer it. JM: So, five years later, based on all the interviews you’ve conducted and research you’ve read and stories you’ve heard, what do you think is the answer to that question you’ve been asking for your adult life: What are the keys to happiness that would explain why some people can seem so much happier than others who are better off financially? RB: Well, it seems to me that some of the strongest aspects of a person’s life that can help them be happy are their relationships. Strong personal relationships are what Ed Diener, one of the leading happiness researchers, told us is really the key to happiness. He said you don’t have to like everyone or have a million friends. But to have at least a few people you really care about and love, and who care about and love you and will be there for you when you need them—that is one of the key factors in a happy life. Another one is gratitude or appreciation. Being able to appreciate what you have—it makes a lot of sense that that would lead to happiness. Because if you are poor but you have a piece of bread to eat, and you can appreciate that, that appreciation makes you feel good and fulfilled and happy. At the same time, if you don’t appreciate things—even if you have a private jet or a few mansions around the world or you’re extremely good looking—that explains why those things may not lead you to a happier life. Then there’s a lot of research about values. This to me was one of the most interesting findings: that people who have what scientists call “intrinsic values,” meaning they value compassion and cooperation and wanting to make the world a better place, are more likely to be happy than people who prioritize what they call “extrinsic values,” which value things like social status, good looks, power, fame.